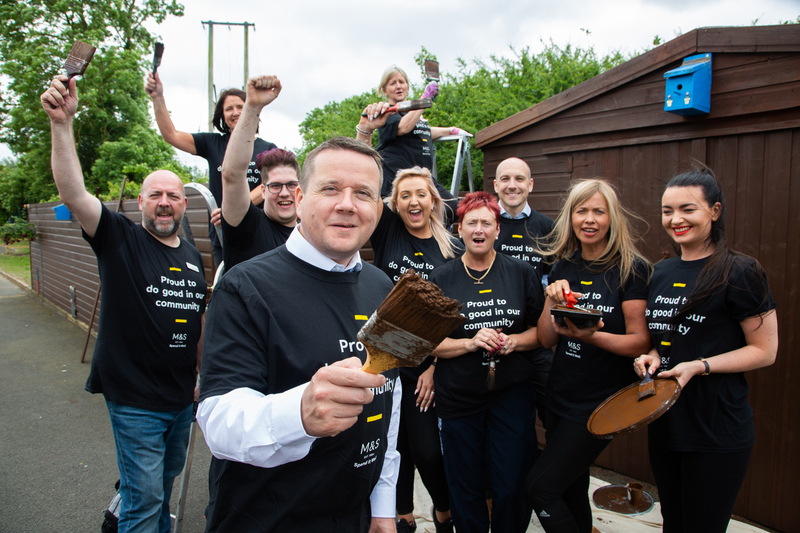 As the Royal Ulster Agricultural Society prepares to open the gates at Balmoral Park for the 149th Balmoral Show, Platinum sponsor Marks & Spencer is set to celebrate a milestone anniversary. Steve McLean, M&S Head of Agriculture says: “This is a significant year for M&S in Northern Ireland as we prepare to mark 50 years of trading here. We opened our first store in Donegall Place, Belfast in September 1967, paving the way for UK investment into the local retailing market. 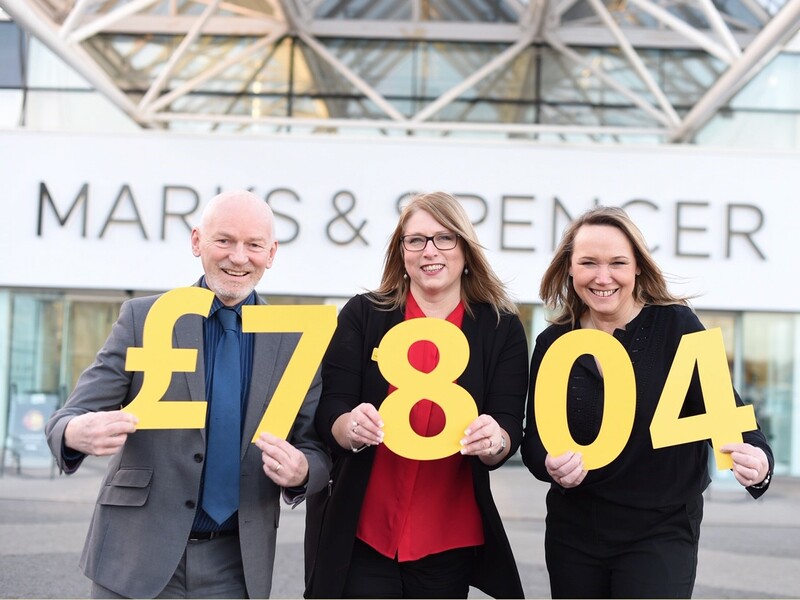 Northern Ireland is a major supply region for the Marks & Spencer food business with beef, pork, venison, chicken, turkey, potatoes, bread and eggs produced not only for Northern Ireland and Republic of Ireland stores, but also for many stores across the UK. Steve continues: “Our 50th anniversary is a fantastic opportunity to say a huge thank you to our customers, staff, farmers and producers here and to celebrate the marvelous relationships we have with them. “Throughout the past 50 years, we have developed longstanding relationships with several of our local suppliers. Some of these companies such as Avondale Foods and Hovis Belfast (previously Ormo Bakeries) have been working alongside M&S since the opening of the Belfast store in 1967. “We firmly believe that great food comes from great ingredients, produced by the best farmers and growers and this year our regional focus at Balmoral will include our ‘local heroes’ in recognition of our local suppliers and store colleagues, including a family with three generations – grandmother, mother and two daughters – that have worked at M&S. “Our show stand will echo the in store ‘Spirit of Summer’ theme and we will bring the very best of M&S to life for our customers, farmers and growers and demonstrate our commitment to farming initiatives through a selection of interactive consumer experiences. Children visiting the M&S show stand can take part in educational games including one highlighting the life cycle of hydroponically grown herbs, another featuring facts about growing herbs in a field through a flip game, as well as a ‘Crazy Egg’ rolling game. Over the four days of the show, M&S will showcase the suppliers who bring the very best of regional food to its stores here, as well as those across the UK. Visitors will also be able to see live chef demonstrations showcasing the very best of M&S products, sample the retailer’s delicious regional produce, witness the passion for quality and innovation and discover the extraordinary lengths M&S go to, to bring them such fantastic food. 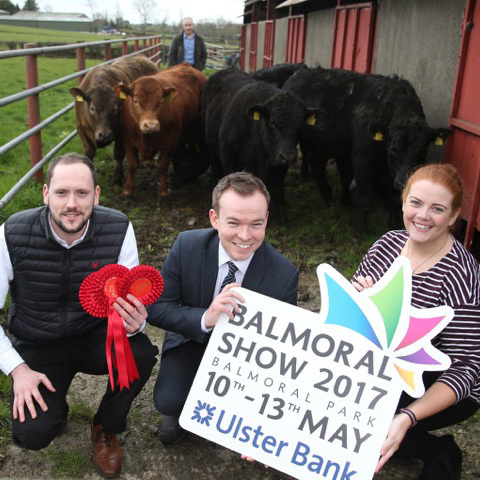 M&S will also use Balmoral Show as a platform to celebrate the next generation of farmers through the ‘Farming for the Future Awards’. Steve continues: “This year’s Farming for the Future Awards prize giving will be held in the Farmers’ Lounge on the M&S stand at 4pm on 10th May. Finalists, as well as farmers, suppliers, industry influencers and the trade media will be invited to attend the awards ceremony, providing the opportunity for face-to-face regional engagement and presentation of the overall Farming for the Future Award. “For the second year, an additional Prince’s Countryside Award to mark our support of the Prince’s Countryside Fund with be presented. 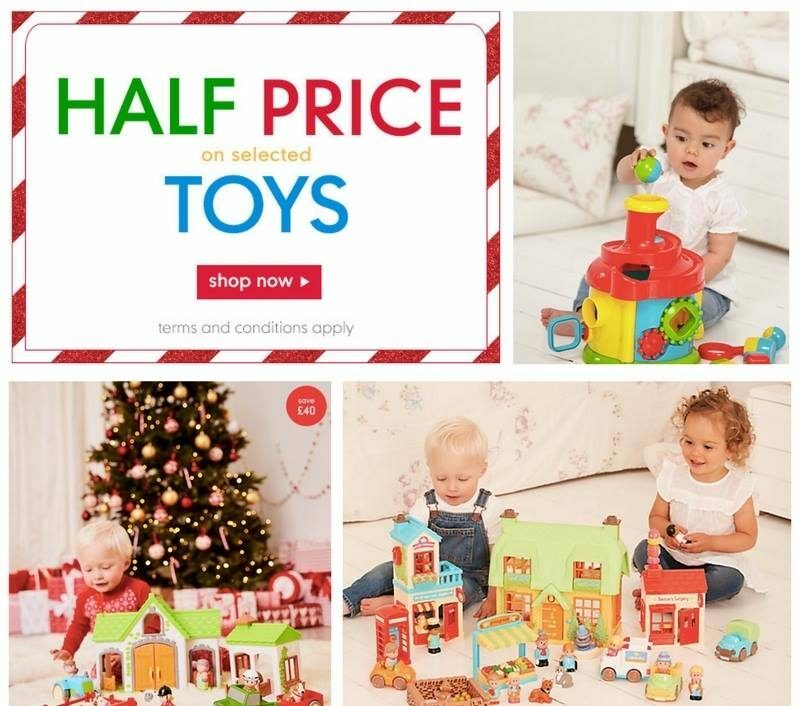 50% off toys at Mothercare! 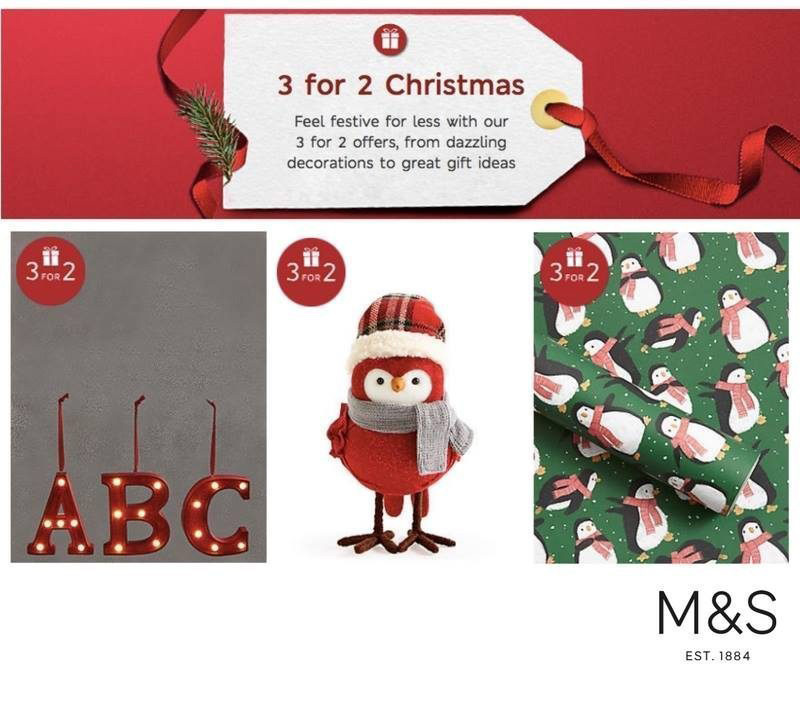 3 for 2 on M&S Christmas!